Have you ever played king of the hill because guess what, Avet reels has and they won. Not only that, but Avet reels continues to keep their title as masters of offshore fishing reel creations. The Avet SX series (which includes the SXJ) offers so many features I honestly didn’t know where to begin writing. They clearly stand as a prized possession of countless offshore fishermen, and with very good reason. 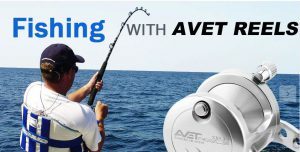 Product: Avet SX & SXJ Offshore Baitcasting Reels. Owner: Sarkis and Harry Alajajyan. Avet designs reels in a manner no other manufacturer follows, at least not that I’ve seen. 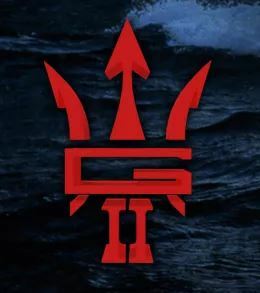 They offer a base model which they upgraded to the G2 limited edition. Avet then goes a step further by offering the Raptor design which takes the base model SX or SXJ reel and adds a few powerful features. Best known for its dual drag system, Raptor design claim to fame rises from doubling the drag resistance of the base SX. The upgraded G2 and Raptor include a new ratcheting lever drag with a locking release knob for the strike setting. Note that the G2 does not come with the Raptor dual drag. We’re not done yet because Avet also offers a magnetic casting system which you’ll find marked as MC. Magnetic casting comes with the Raptor design, but Avet gives anglers the choice of adding it to the base SX and G2 limited edition models. The Avet SX series offers 14 models in all which includes the base model, G2 limited edition model, MC option, and Raptor model. * Note: The 5.3 models offer the single speed version. Because Avet builds the SX reels from the base model up, specifications stay pretty consistent. Obvious variations exist between 2 speed and single speed models. The SXJ (J for Junior?) 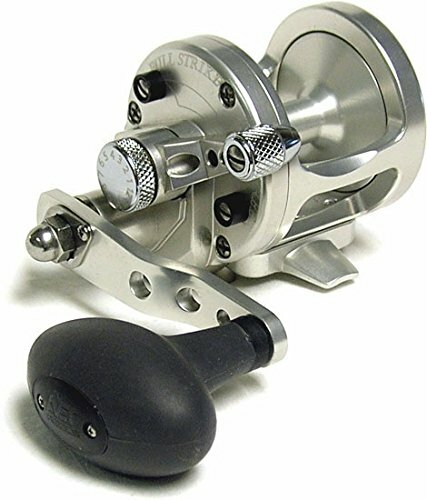 models come with narrow spools favored by offshore casting enthusiasts though their spools do lose a bit of line capacity. The specifications that do change like gear ratio, line capacity, and maximum drag depend largely on which features you want to include (or exclude). Jump over to Avet for exact specs. Some features are included in every SX reel, while others can be added to improve performance (and for a bit more cash). I’ll start by listing features common to all SX models, then go on to the available add ons. Avet uses strong marine grade 6061 T6 aluminum for the frame and stainless steel composes the gears. Every part goes through CNC machining for precise construction using the most anti corrosive material available. Avet anodizes the frames, finishing them off with a smooth glossy surface that provides additional protection. Avet frames come machined as one solid aluminum part. They aren’t bolted together like other reel frames and so can’t come loose or separate under extreme pressure. Avet doesn’t use a roller bearing for anti reverse. Instead they stick with the locking teeth of the dog system. Gear engagement springs the dogs (one on either side of the spool) into locking position so any reverse movement on the spool catches and holds firm. Nothing short of stainless steel will do for offshore fishing and SX models rotate flawlessly on either 8 or 9 bearing systems. The Raptor design employs the 9 bearing system while all other models use 8. 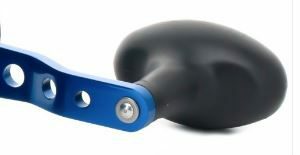 All Avet SX models use a lever drag system which includes an adjustable strike preset knob. The preset controls the amount of drag you want to apply as you push the lever down. The benefit being that you can change the drag on the strike setting. Avet improved the clicker over the years making it louder. Not such a big deal until you have to depend on the sound to hear a strike. I’ve seen reels with broken or quiet clickers get stripped by fish of all their line. The crank arm curves inward along its path which brings the knob closer to the frame and improves reeling leverage. A large soft grip knob provides a comfortable handle that fills the entire palm yet gives a firm base when strong fish call for powerful reeling. Made of the same material as the frame, the aluminum rod clamp comes precision machined and ready to secure your avet onto your favorite Calstar or Seeker rod. The magnetic cast control system can be added to the SX or SX G2 models and it comes with the Raptor. These systems work by using magnets that employ after the reel is cast. Using electrical magnetic resistance, they prevent the spool from overwrapping resulting in bird nest knots that incapacitate the reel. The ratchet prevents the lever drag from slipping and loosening up. Any angler using a lever drag can appreciate a locking strike position. 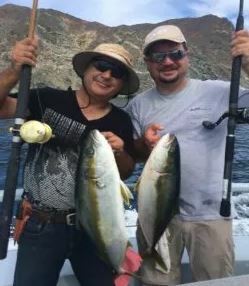 The excitement that comes along with having your bait picked up by yellowtail or tuna can cause an angler to overset the lever and SNAP. It’ll never enter your mind when you know the lever is set to lock. The SXJ models carry the least amount of line. Some of the G2 models offer more line capacity than others so check those specifications for exact amounts. The Raptor SX reels come with the largest spools and provide extra line length. Only the Raptor style SX and SXJ Avet Reels come equipped with the dual drag system and it adds almost double the resistance. Non Raptor Avet SX reels have a max strike drag of 9 and full drag of 14 pounds. One exception strangely enough is the SX 5.3 G2 which offers 12 pound strike and 20 pound full drag. Raptor dual carbon drags provide 17 pounds of drag at strike setting and 27 pounds pedal to the metal. Avet reels provide workhorse power to begin with. I do appreciate how they made a reel and then improved upon it. Instead of just offering a new model like most companies would, Avet decided to give that choice to anglers at different price points. 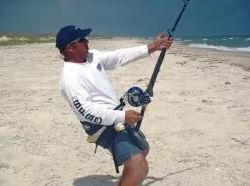 Offshore anglers have never had a problem with properly performing SX or SXJ reels. On top of that, the aluminum and stainless steel composition give Avet SX reels incredible durability. I appreciate the aluminum frame and the stainless steel bearings but Avet could offer more in the way of saltwater protection. The Shimano Trinidad for example adds I.E. corrosive resistant coating and shielded bearings, taking elemental protection a step further. I did come across reports of what sounded like bearing failure while reading a couple fishing forums. There was also some concern about the lack of an anti reverse roller bearing. Lack of the anti reverse roller bearing allows a silent retrieve. I think it’s better to have the ARB and the double dog system, though it does complicate design. Who Is The Avet Reels SX Series Made For? Avet makes the SX with so many different options, there’s not any kind of offshore fisherman it’s not made for. 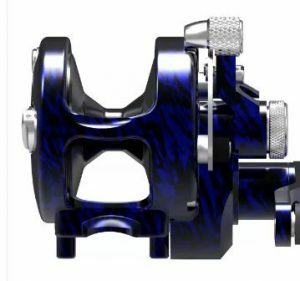 Some may prefer other reels, but the SXJ offers a narrow casting spool with the option of magnetic control. Anglers can go Raptor to increase drag for fishing more powerful size targets. Avet offers a 1 year manufacturers warranty on all their reels. They do offer a service plan that comes with different prices and reels must be shipped to that location in Chatsworth, CA. I say it in all my reviews and I’ll say again that I prefer taking my reels to a local expert. I know how good they are, where my reel is, and I can get it when I need it. Overall Ranking: I score the Avet reels SX & SXJ very high. 95 out of 100. Avet reels SX series scores well as far as I’m concerned. Fishermen rant and rave about them which means they hold their value. They’re easy to trade or sell used because of such high demand and reputation. 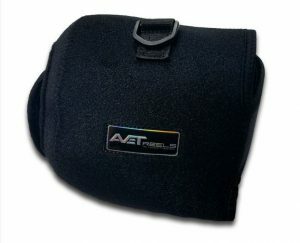 Avet reels all perform well and they do an exceptional job of offering anglers so many design choices. Avet reels continue to get a big thumbs up in my book of reviews. Any thoughts on the JX, LX, and HX series? Hey Matt. Thanks for all your comments. I need to do those reviews and get them up onsite. Honestly, I swear by all of Avet’s creations. It just depends on what kind of setup you need for the kind of fish you’ll be after. I am trying to decide between the Avet SX Raptor and Shimano Talica 8 II. I mainly jig fish off a boat out of Long Island, NY but would like to be able to use it in Lake Erie, OH also. Which one would you recommend not taking price into consideration? Hey Tom. Good question and I’ll share my honest thoughts. When I started this site, I might very well have suggested the Avet. Over the past decade or so, they have been one of the most popular reels in the SoCal offshore scene. After reading some articles and seeing some FaceBook posts from Alan Tani, I now have second thoughts about the Avet. The big issue is the drag ratio in strike and full, and even Alan has trouble altering them to fix. I really like Shimano products and service. The TAC is a fantastic reel. My only other suggestion would be to look over Accurate Reels. I have the pertinent reels here on review. Hope you find this helpful. Best of luck and tight lines!